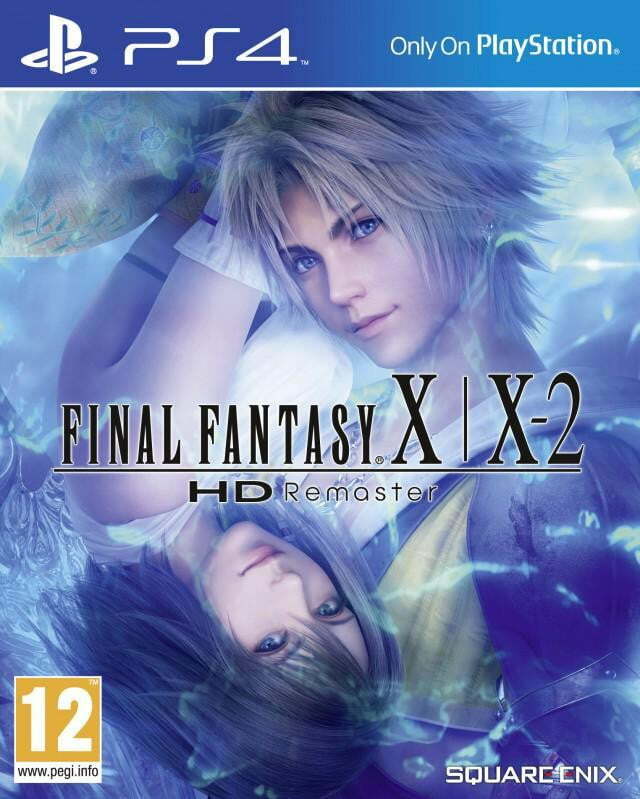 UPDATE: Final Fantasy X/X-2 HD will indeed come to PlayStation 4 in spring 2015, along with the previously announced HD port of Final Fantasy VII. Square Enix made the official announcement during a PlayStation China press conference on December 11 in Shanghai (via Gematsu). The collection will cost $50 in North America and include Final Fantasy X, Final Fantasy X: Eternal Calm, Final Fantasy X-2, Final Fantasy X-2: Last Mission, and bonus audio. Both the Final Fantasy X/X-2 and Final Fantasy VII ports will include “system-exclusive features,” but no further details were given. 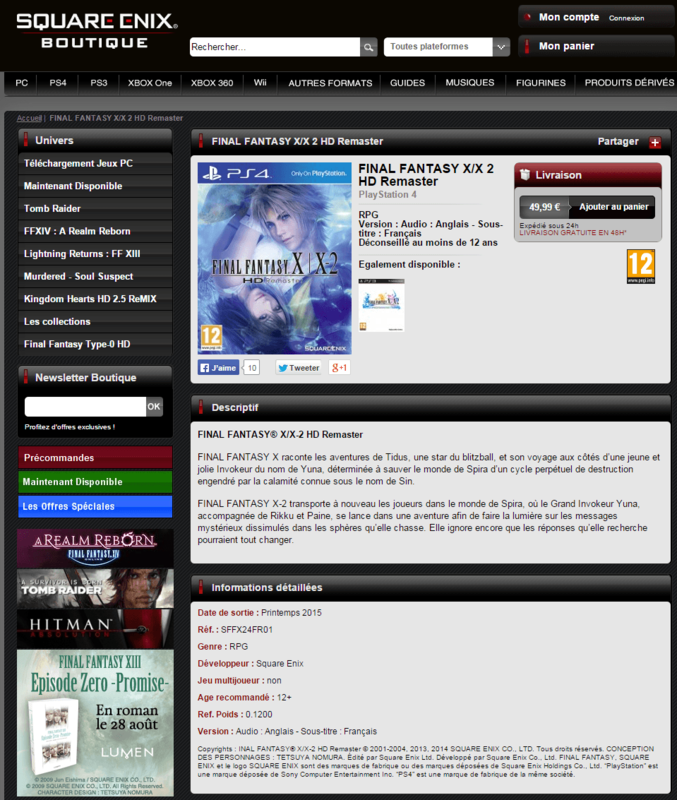 ORIGINAL POST: An HD remaster of Final Fantasy X/X-2 might be coming to PlayStation 4 in spring 2015, according to images supposedly taken from Square Enix’s French online store and posted on NeoGAF. Users spotted the store listing and box art before the page was taken down and the Google cache cleared, so note that these could be faked. Both games already received high defintion remasters in 2013 for PlayStation 3 and PS Vita. It is not clear what, if anything, would separate this new release from those previous ports other than the new platform. According to the store page, the PS4 release will be available in Printemps (French for spring) 2015. Final Fantasy X was first released in 2001 for PlayStation 2. Critics praised its story, visuals, and voice cast, which included John DiMaggio, known for his work as Marcus Fenix in Gears of War and Bender in Futurama, as both Wakka and Kimahi in the English language version. X-2 followed in 2003 as the first direct sequel in the long-running series of role-playing games. It was also the first game in the franchise to feature an all-female playable cast, the first to have no musical contribution from longtime composer Nobuo Uematsu, and one of few games in the series to have multiple endings.